Fawad Khan is on a roll in Bollywood and there is no stopping for the smokin’ hot superstar! The latest buzz is that Karan Johar has roped in Fawad Khan for yet another entertainment venture and will be romancing th the uber-gorgeous Katrina Kaif, featuring a mega Punjabi wedding titled, ‘Raat Baaki’. The project is the directorial debut of writer-lyricist, Aditya Dhar. The movie will be set in North India and will unveil Kaif along with Khan in the backdrop of a desi marriage ceremony. The Report reveals that movie will kick start shooting in November 2016. Quintessentially a love story, the film will be shot largely in Delhi. KJo is aiming the movie to be big on budget with chart-busting tunes. “The shoot is expected to kick off in Delhi sometime in November. Fawad is set to welcome his second child in October in Pakistan and will be by wife Sadaf’s side till the baby is born. The film will roll once he’s back in India and ready to resume shoot,” a source told Mumbai Mirror. Following the mega success of his performance in Kapoor & Sons, KJo preferred our beloved Humsafar hero for the lead role over Sidharth Malhotra. Fawad Khan is surely winning over Bollywood, one film at a time! Jitesh Pillai, the Filmfare editor shared the news on Twitter, that Fawad has signed the dharma-Fox film with the Katrina Kaif. 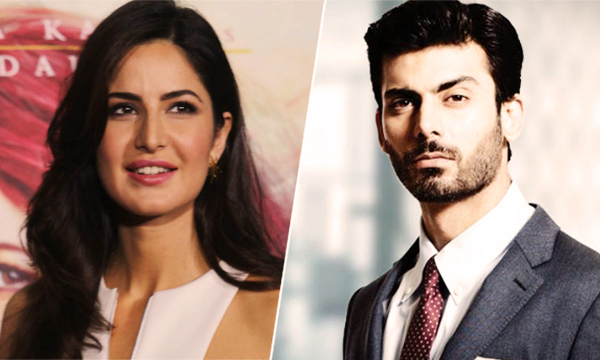 More on Fawad khan, word has it that he's been reportedly signed for a dharma-Fox film with Katrina Kaif! Directed by debutant Aditya Dhar! In an interview with Hindustan Times, Fawad Khan talked about his work equation with Ranbir, “He has a well-rounded approach to his work. It’s a pleasure to have a conversation with him. Also, it is a treat to work with him. I don’t know how he would term it, but we are good acquaintances. We share a great camaraderie.” We can’t wait to see if the actor shares the same equation with Katrina Kaif. It seems that the Indian director and the Pakistani hottie have developed quite a bond over time and even co-hosted the IIFA Rocks event held in Madrid. The upcoming movie will be the directorial debut of Aditya Dhar. Fawad Khan is all set to take over the Indian fashion fraternity as well. The Pakistani heart throb will be walking the ramp with Deepika Padukone in Delhi at the couture week’s opening show on Wednesday, as reported by Times of India. “The filmmaker-actor jodi is willing to collaborate on more films since they share a good rapport. They have been spotted together on numerous occasions and have discussed few ideas as well as scripts. 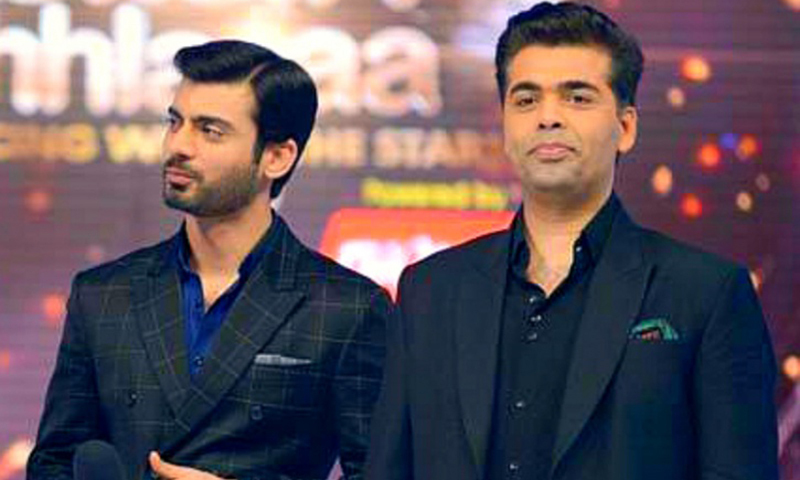 Fawad recently signed a film after he liked the script,” reveals Indian website Mid-day. Already Khan has signed a Sanjay Leela Bhansali movie Gustakhiyan along with a Zoya Akhar film. Rumor has it that he will also be seen in Salman Khan’s directorial debut Jugal bandi, across the Bollywood legend Amitabh Bachchan. Meanwhile, he will also be working his magic in Pakistani cinemas with Albela Rahi. For now, we will be soon seeing him in Johar’s ‘Ae Dil Hai Mushkil‘, starring Anushka Sharma, Ranbir Kapoor and Aishwarya Rai. So much of Fawad Khan coming up! We can hardly wait for the heartthrob to sizzle on the silver screen. Stay tuned to Brandsyanrio for more updates.